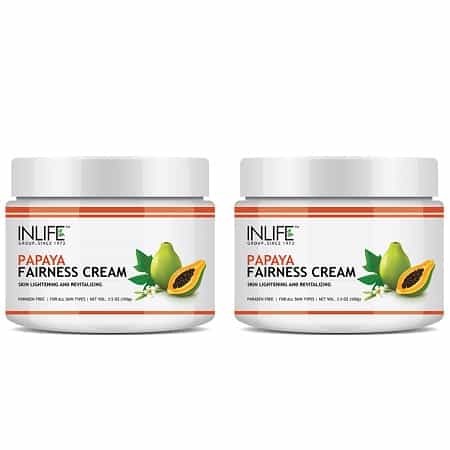 Fairness cream with ingredients of raw papaya, Aloe Vera, Vitamin E and Potato works wonder on your skin. It protects from skin pigmentation. 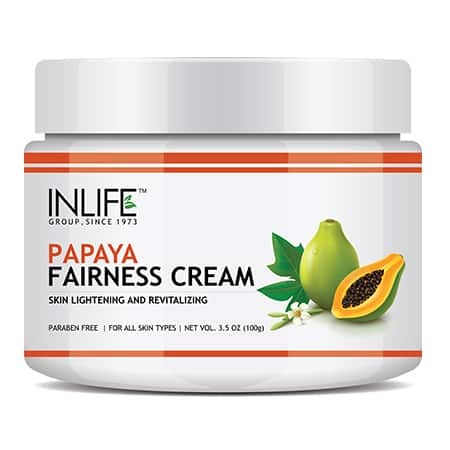 INLIFE Papaya fairness cream works deep in the skin cell and makes you look fairer and lighter. You will get a glowing effect on your skin and you will feel happy. It refreshes the skin and you will get the spotless effect. It is paraben free cream and you need to apply the cream in the upward direction and gives your fairer complexion. If you apply the cream regularly, then the result will be better and you will feel great. Are you allergic to papaya? Do you want to know the benefits of papaya? Then, you can talk with health care professional and you will get a great help. 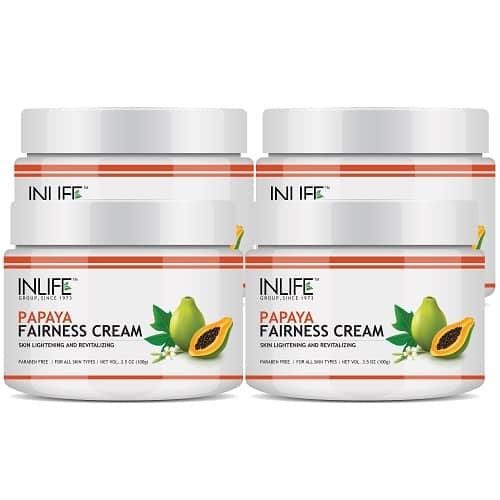 The fairness cream in chemical free and you will get the reliable result. This cream will help you look spotless and you will feel good from inside. Flaunt your beautiful face and bring out the confidence in you. Buy the product online and it will save your money and time. Check the instruction properly before apply and get 100% genuine result.